Want something to read a fantasy possibly,look no further.Start off with the first two books of the twilight saga, twilight and new moon. These books are in great condition and is well worth it. THE HOST is a riveting and unforgettable novel about the persistence of love and the essence of what it means to be human. Melanie Stryder refuses to fade away. Excellent condition - books appear potentially unread. Minor shelf wear on dust jackets. The author of the book has released 4 novels annually from 2005 to 2008. The book has gained popularity, since the release of its first novel in 2005. 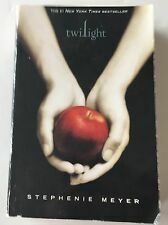 All the four books have won various awards and most notably the 2008 British Book Award for "Children's Book of the Year" for Breaking Dawn, whereas the entire series had won the 2009 Kids' Choice Award for Favourite Book. 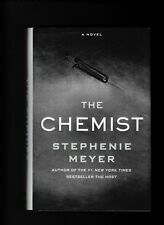 Title: The Chemist. She graduated from Brigham Young University with a degree in English literature, and she lives with her husband and three young sons in Arizona. Attributes: Paperback. Paperback: 528 pages. Hardcover book in good condition with dust jacket, dust jacket shows minor wear and slight bend in the binding from opening/reading the book. 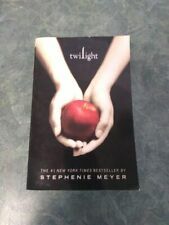 Title: Twilight: Twilight, Book 1 (Twilight Saga) Item Condition: used item in a very good condition. Edition: - List Price: -. Book may have light shelf wear and / or remainder mark. The Twilight Saga WHITE Collection. The Twilight Saga White Collection. With Access to Over 5 Million Books, We Can Customize ANY Order to Fit Your Needs! Lakeside Books. DIRECT FROM THE PUBLISHER! 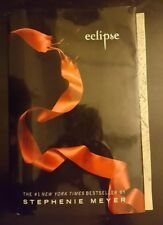 Eclipse Novel Collectors Edition with slipcase by author Stephanie Meyer In new condition still in shrinkwrap. See photos PLEASE VIEW ALL PHOTOS AND ASK QUESTIONS. RETURNS ARE NOT ACCEPTED. THANK YOU! Twilight: The Graphic Novel, Vol. 1(Twilight: The Graphic Novel #1). 1 (Twilight: The Graphic Novel, #1). We have many things listed and you may find an occasional error. PUBLISHER: Yen Press. This is aHARD COVER withDUST JACKET, LIKE NEW The pages areLIKE NEW with no writing, marks or creases on them. This book(s) is in GREAT CONDITION. All pages are present unless otherwise stated in condition. Important Information Noted I will do my best to show as many photos as possible so that you know exactly what you are buying. 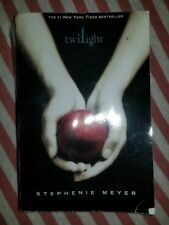 Book #2 In The Twilight Series. Oversize Paperback Copy. Like New Condition. THE SHORT SECOND LIFE OF BREE TANNER. The book is in NEW & UNREAD condition. The dust jacket is NEW & covered in an archival quality clear protector. This copy SIGNED by the author on a Bookplate affixed to the title page. We promise to do our very best to try to make you happy. No Dust Cover. Condition: New! Binding: Hardcover Publish date: 2016. This is a NEW copy in FINE condition. It is a hardback and has complete line number 10 9 8 7 6 5 4 3 2 1. ISBN on Dust Jacket is 978-0-316-46813-8. She lives with her husband an degree in English Literature. She lives with her husband and three young sons in Arizona. d three young sons in Arizona. Will she make the ultimate sacrifice to protect the people dearest to her?. Photographs may not always reveal exact color, imperfections or detail but effort is made to describe each item honestly. Occasionally during inspection visible blemishes are missed. She lives with her husband an degree in English Literature. She lives with her husband and three young sons in Arizona. d three young sons in Arizona. Format Hardcover. Sports & Outdoors. Trending at C $12.02eBay determines this price through a machine-learned model of the product's sale prices within the last 90 days. Title: New Moon Item Condition: used item in a very good condition. Celebrate the tenth anniversary of Twilight ! Readers will relish experiencing the deeply romantic and extraordinarily suspenseful love story of Bella and Edward through fresh eyes. Hardcover: 752 pages. 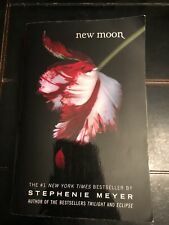 New Moon: The Graphic Novel, Volume 1 (Twilight Saga Graphic Novels). 5 out of 5 stars - New Moon: The Graphic Novel, Volume 1 (Twilight Saga Graphic Novels). 7 product ratings7 product ratings - New Moon: The Graphic Novel, Volume 1 (Twilight Saga Graphic Novels). 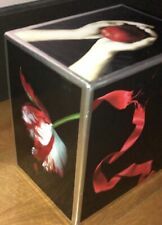 The Twilight Saga: Twilight 2 by Stephenie Meyer (2011, Hardcover / Hardcover). Condition is Like New. Shipped with USPS Media Mail. Title: Host. Catalogue Number: 9780751540642. Format: BOOK. Missing Information?. First Edition: August 2007. Hardcover with a Nice Dust Jacket.